In another place and another time, the Apple iPhone 8 Plus would have been one of the hottest things around. Swathed in hype, causing a stir, bringing the free ride of the competition’s flagships to an abrupt and painful halt. This turbo-powered, glass-clad, sharp-shooting and fast-charging piece of a smartphone classic seems to have everything. Except… time. No, it’s not going anywhere. It’s just that its days as one of the hottest things around are numbered. Now, we’re sure you know what we mean, so let’s slow down and start over. Time isn’t always a luxury – just don’t tell this to an iPhone 8 Plus. The 8 series is about to leave generations of iPhones behind. It’s been ten years of refining the visionary iPhone. We saw it grow bigger, better, more durable, more powerful. Apple kept adding more screen real estate, more processing power and advanced camera features. In spite of all novelties, the iPhone essence was always there, underneath the fancy add-ons. Now, that’s about to change. Apple isn’t just on the verge of breaking clean from the past. The future has already begun with the iPhone 8 and 8 Plus. But it doesn’t belong to them. Back to the here and now, the Apple iPhone 8 Plus comes across as the usual incremental upgrade. The 8 Plus gets to keep its overall styling but swaps aluminum for glass and finally gets wireless charging. The new A11 Bionic chipset boasts an extra two power-efficient cores and, for the first time ever, an in-house GPU. Then the base iPhone storage has been doubled and now starts at 64GB. Browsing the camera specs leave the wrong impression of copy and paste from the iPhone 7 Plus, when in fact both of the dual 12MP sensors have bigger pixels, backed by a superior flash and an exclusive new Portrait Lightning mode, which hopes to make the portrait shots look even better. Finally, the screen size and resolution might be the same, but Apple has added HDR10 and Dolby Vision support, as well as iPad’s True Tone color adjustment for life-like color presentation. 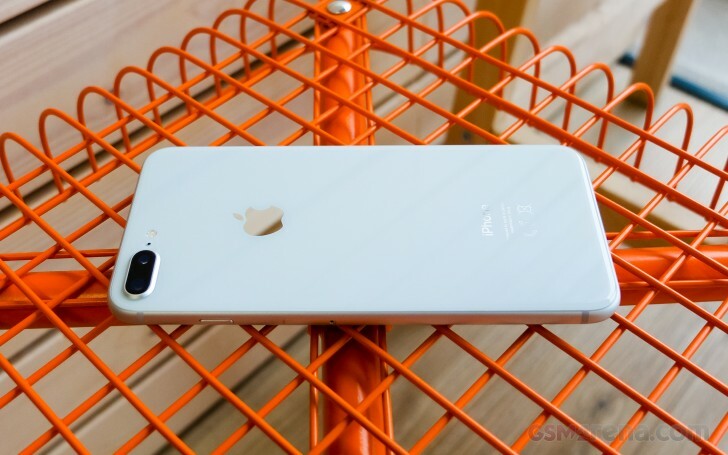 Indeed, the iPhone 8 Plus seems like a regular update but with the right touches in the right places. The screen bezels are here to stay but probably for the last time. The audio jack is already a goner, that’s for sure, while memory expansion was never meant to be. Some may still have gripes with the over-reliance on the iTunes software for music transfer to the phone, but in times of Apple Music, Spotify, Google Music, and Groove – we think this is another issue we mention one last time. 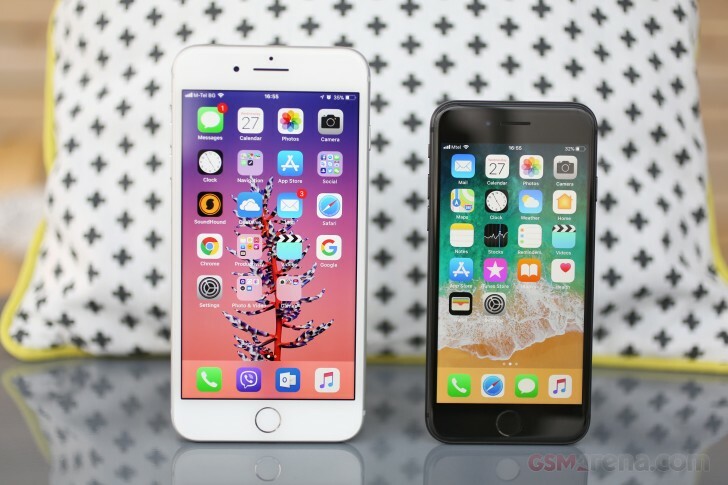 The iPhone 8 Plus is fresh off the assembly lines, but the iPhone X is just around the corner, while the iPhone 7 Plus is still relevant and cheaper. Decisions… Is the upgrade worth it? Is a switch worth it? Should I wait? The choice has never been harder, but the answers start rolling right after the break.